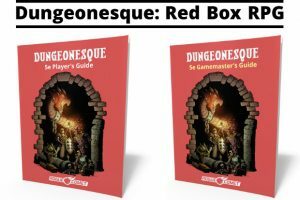 Dungeonesque Red Box RPG is being crowd funded on Indiegogo. It is a D&D 5th edition Compatible RPG that is done in Red Box Style. After successfully funding Dungeonesque: World of Redmark (5e Adventures & Maps) on Kickstarter yesterday, Stan Shinn of Rogue Comet has quickly put out a proposed project that takes advantage of Wizard’s of the Coast Open Gaming License for D&D 5th edition. 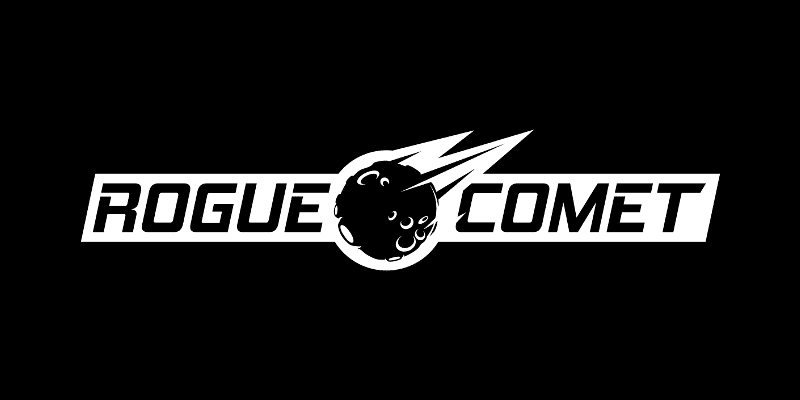 Rogue Comet is looking for support for their Dungeonesque Red Box RPG with a $1,500 funding goal. 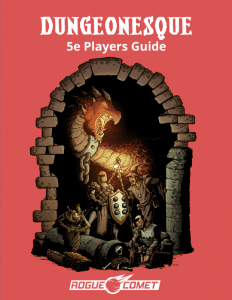 The RPG sets out to simplify and streamline D&D 5th edition into a easier to manage booklet manuals for the Players and the DM at a page count of 40 each instead of 300. The project sounds like a wonderful reference tool at the table for players and dungeon masters to use during player, and has the support of Frank Mentzer – the author of the 1983 D&D Basic Red Box. In the 70’s and 80’s, RPG box sets with booklets were all the rage. In recent years, many game publishers have shifted to publishing 200+ page RPG hardbacks instead of the much-beloved booklet format of prior years. Hardbacks have a great shelf-life, but many of us miss the convenience of smaller books which have streamlined mechanics and easily lay flat the game table. We’ve been waiting for the 5e OGL/SRD for some time, and had this secret project already in the works! This project leverages OGL content to create two 8.5×11″ booklets — a Player’s Guide and a Gamemaster’s Guide — each between 36-44 pages, which together form a complete RPG system that is fully 5e compatible. There are four standard classes: Fighter, Wizard, Cleric, and Thief and the game can advance those characters up to level 15. While we have some of the art already commissioned and done, we are seeking funding to create additional art and text content for this exciting product! Backers get PDF copies as well as print-at-cost codes from DriveThroughRPG. You can get hard copies at cost; you just need to pay shipping! Costs for backers to back this project and print at cost will be cheaper than retail costs after the project ends. We also plan to offer you a Kit — a PDF, cover file, and instructions — that lets you you print these booklets at cost at any other printer you choose! For example, you can print several copies at Lulu.com or Kinkos, and get the in booklet, spiral, or hardback format! We also will enable you to customize the look and feel of the cover. To that end, we will soon be announcing a contest to design additional booklet cover designs — you can use one of these alternate covers from the contest, or even create your own! We’ll give you some templates in OpenOffice/LibreOffice to customize the cover for your personal printing. Is it a box? No, we call it ‘Red Box RPG’ to harken back to the various box set RPGs of the 70’s and 80’s, but this project is producing the two game booklets only. We will have a separate project later in the year to produce a ‘White Box RPG’ that actually WILL have a box! We will include all the rules and content needed to play the four standard races: Human, Elf, Dwarf, and Halfling. We will also support the four standard classes: Fighter, Wizard, Cleric, and Thief. We will include a choose-your-own-adventure style introductory game that is fun for learning or for solo play. Just like the original! Concise Bestiary with easy-to-scan-and-use stat blocks that feel like 1e but are compatible with 5e! 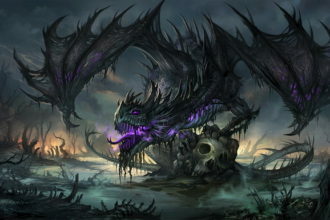 Here’s a sample:DOPPELGANGER: HP 52 (8d8+16); AC 14; Atk 2 slam (+6 to hit, 7 (1d6+4) dmg); Speed 30′; Abilities Str +0, Dex +4, Con +2, Int +0, Wis +1, Cha +2; Perception 11; CR 3; XP 700; Special mimics shapes, immune to charmed condition, darkvision 60 ft., +10 (3d6) dmg on first attack if surprising opponent, reads thoughts. Post the link to this project on the social media of your choice. Then tag @RogueComet (Twitter, Facebook, or Google Plus), and send a link or screenshot of the post to info@roguecomet.com. 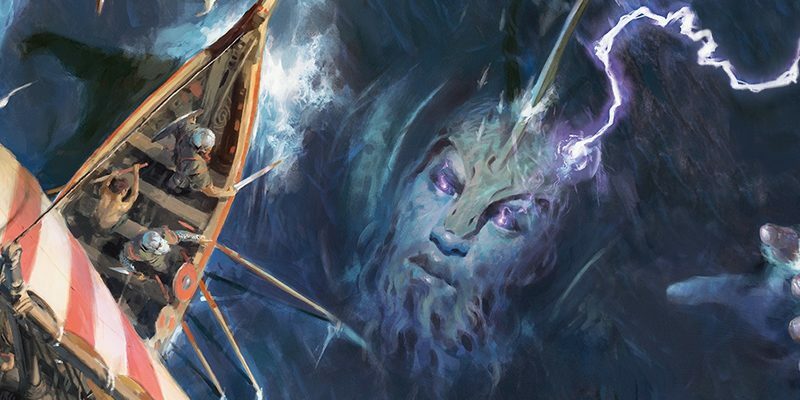 After the project funds, we’ll email you a link to the PDF copy of new one-sheet 5e adventure — exclusively available to our Social Media and Blog fans! Better yet, pledge to support the project at the MINION level or higher and then spread the word. Thanks so much for your support!